Though it may only be mid September, the holidays are quickly approaching, and a lot of trucking companies are already seeing and handling holiday shipments. From strictly a consumer’s point of view, we may not realize this. After all, when you walk into a store and it’s transformed into a Halloween/Thanksgiving/Christmas wonderland, how all of those items got onto the shelves typically doesn’t cross your mind. They were shipped to those stores, by a freight company, weeks – sometimes months – in advance. During the holidays shipments speed up, and a lot of times people slow down. People take time off during the holidays and have company days off of work. When a freight company has a holiday during the week, the shipments that were meant to be picked up that day (say on a Friday) could be pushed back (say until Monday). This results in the Monday shipments being pushed back, and so on and so forth, creating a domino effect. • Season One: This season runs from January through March. It is relatively quiet, as the holiday rush has just passed with the New Year. This is a good time to ship your goods. • Season Two: Running from April through July, this season is very busy. Produce is in season and is being shipped (which pays out a lot of money), and finding an available truck can be a bit of a hassle. • Season Three: This season runs from August to October, and is peak shipping season. People are ordering a lot of goods, sending their children back to school, and preparing for the holidays. Shippers are busy, but goods are still going out. • Season Four: Season four runs from November to December, and is known as the ‘holiday season’. The beginning of this season is busy with customers trying to ship out last minute loads, but as they go out, things slow down, and trucks become more available. 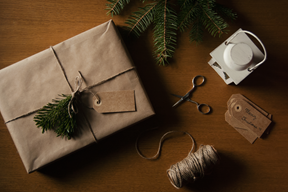 If your shipments are time sensitive, avoid shipping during the peak and holiday season, and try to ship early if possible. If not, it’s incredibly important to be patient during these times. Everything will get back on track; it just takes some adjusting, as most of us need after a long holiday break.